Hypertension means high blood pressure. Blood pressure values are defined as high when they’re above normal range. Remember not to take hypertension lightly. Always consult your doctor whenever there are any related symptoms of if you’re at risk of developing the disease. Start maintaing a chart of blood pressure, whenever you check it, both when you are suspecting or diagnosed with the disease. 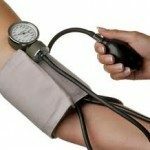 What’s the normal blood pressure range? Note that there is no single normal blood pressure value. There is always a range. Also remember, the range doesn’t mean that anyone can have any value in between in and feel safe. It’s just an average value of normal blood pressure. E.g. for some patients, like people having diabetes, need to have values lower than the maximum blood pressure values. Note that this value can vary based on your specific case too, so confirm from your physician if there is any concern. We’ll be having a detailed post for the specific diet for hypertensive patients too, however here are the guidelines for the patients suffering with high blood pressure. Note that these are to be used as guidelines and discussed with your treating doctor before applying. Hypertensive patients should have no salt! Not even slightest amount of it! No matter what you think and how you feel, there is no room for salt addition in any of your meal, even while cooking them. Tip: You can use only 0% sodium salts (like NoSalt). No you can’t use 30%, or 60% sodium salts for taste in meals, only 0%! Always read carefully that it’s 0%. Sugar increased blood pressure too. Yes you read it right, no sugar! Even if you don’t have diabetes. No sugar containing drinks and cakes and items etc. Note, this also prohibits aspartame, found in canderal and diet drinks like diet coke, diet 7-up, etc. They all are strictly No, yes they don’t have sugar but aspartame causes enough damage! No eggs are to be taken by the hypertensive patients. Lots and lots of water, literally lots of it, up to liters! 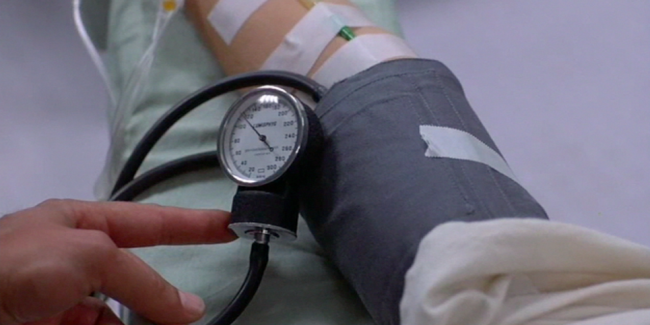 Remember to check the blood pressure regularly. Well, yes it does, but forget that! Seriously! Tension causes less of blood pressure raise than the mismanagement at diet and having prohibited food items. Almost every hypertensive patient I’ve seen having spike of high blood pressure had salted or sugar containing thing (or diet coke). So avoid that and stop blaming your kids that you’re having hypertension because they gave you some tension. But again, it may be due to tension too, so let your doctor decide if it needs to be taken care of. This section will be improved further too. However, remember that always get treatment from the authorized doctor (cardiologist) in case you’re suspecting or suffering from hypertension. No matter how amazing and skilled your non-cardiologist doctor is, still get the opinion of the best available cardiologist in your area, or even beyond it. In case of emergency and abrupt blood pressure rise above 140/100 mm of Hg, rush to the hospital immediately. There are tips to lower blood pressure during emergency at home too, but remember, ideal and the only thing to do is to rush to hospital, these remedies are to be done until you get to the hospital only. 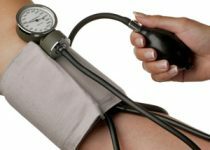 Bookmark this page and write down the stuff mentioned in it if you or any of your loved one is suffering from hypertension. Let me know if you have any query and need any guidance, consultation or clarification.